I have always been fascinated with your website on the various collieries. My father was a miner at Chatterley-Whitfield and High Carr in North Staffs. My great great uncle was the miners leader Enoch Edwards, who is featured in your website too. 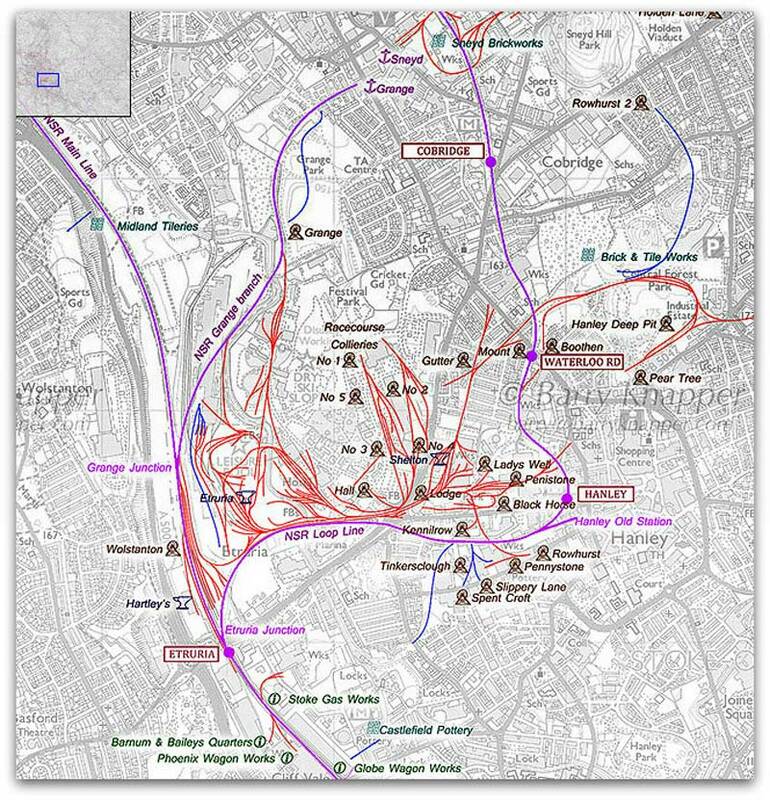 I created a map of the old railways which among others duties, served all the mines in North Staffs. I also located and identified the various collieries that these railways served. The map is on-line and if you find it suitable you could link directly to it from your website with my good wishes. Keep up the good work and please pass on my thanks to John Lumsden for his interesting articles.